A million years ago when I first started trying no poo it was all about being a bit of a hippy and frankly it all failed. But I never really let go of the idea that shampoo was turning me into a fraggle. Most days, my style was best described as “shut up, I can either keep the kids alive & expand my brain OR look like a princess. Not both”. I love how this photo hides the fact I had just set light to the microwave! Even so, my long & generally colourful hair was my trade mark. I spent my 20s with it flying free and frizzy or woven into coloured dreadlocks (welcome to early 2000’s punk / nu metal culture). 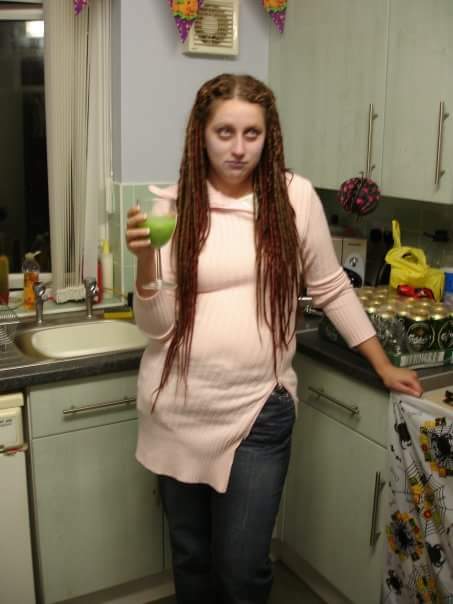 At their tamest, my dreads were brown & red. My favourites were the black & blue set. Then I met with dysautonomia and my hair & I parted ways. Literally. No amount of bleach, or braiding, or spiking ever made it thinner, but 6 months of being unable to digest solid food and it came out in clumps. I was never brave enough to rock the skinhead look so I turned to the orthodox Jewish community groups who taught me how to wrap my head in a Tichel and I acquired a whole host of beautiful scarves to adorn my now tufty head. Two years down the line and solid food is back, albeit not all the time, alongside a constant massive dose of vitamin D and what once was thick & wavy has grown back thicker & curly! The act of conditioning once, then scrunching the ends of your curls with a second conditioner application that you may or may not rinse out. I do, but those with really porous hair may not. I know it’s no poo, but ew! Actually, this is the theory that drying curly hair with a normal towel damages the curl & encourages frizz. 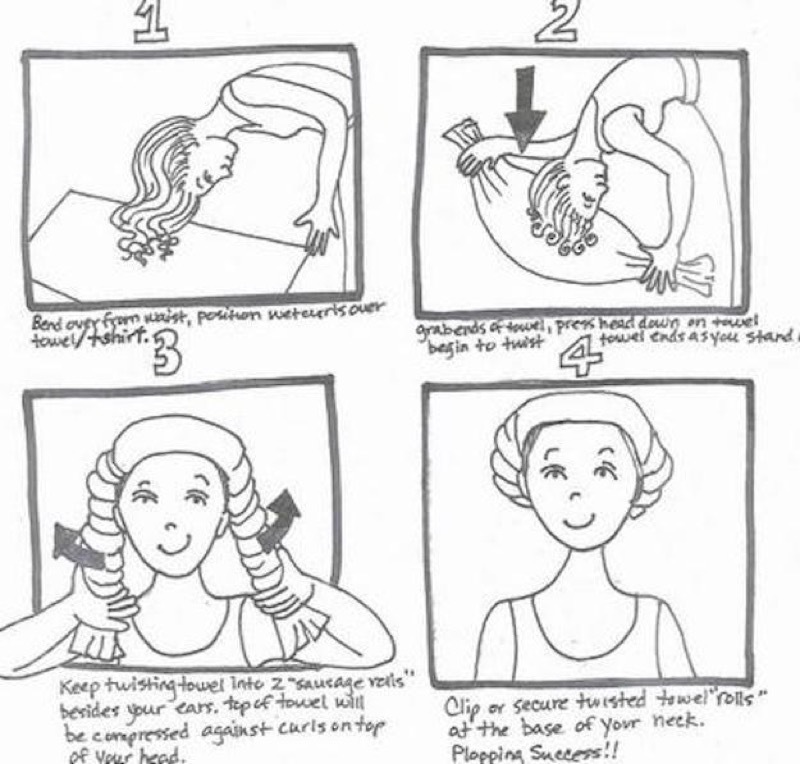 Instead, plop your head onto tshirt material or similar to allow the curls to dry whilst coiled close of the head. Some people plop for 20 minutes, whilst others (including me) plop all night. 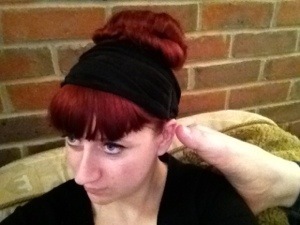 This is where having worn tichels for months has come in handy as I’m a dab hand at a secure turban! Just remember that post-plop the curls won’t be bone dry so you need to give them time to reach full crunch before scrunching. I use Cantu Cream activator, or ahem… ummm… personal lubricant. (That’s a whole other blog post, but trust me it works wonders). It’s basically an extra moisturiser for your curls that encourages them to coil into their natural pattern and stops frizz. Stick it on your newly washed hair before any gel. A technique for applying curl cream or gel with flat hands instead of scrunching or raking it through. 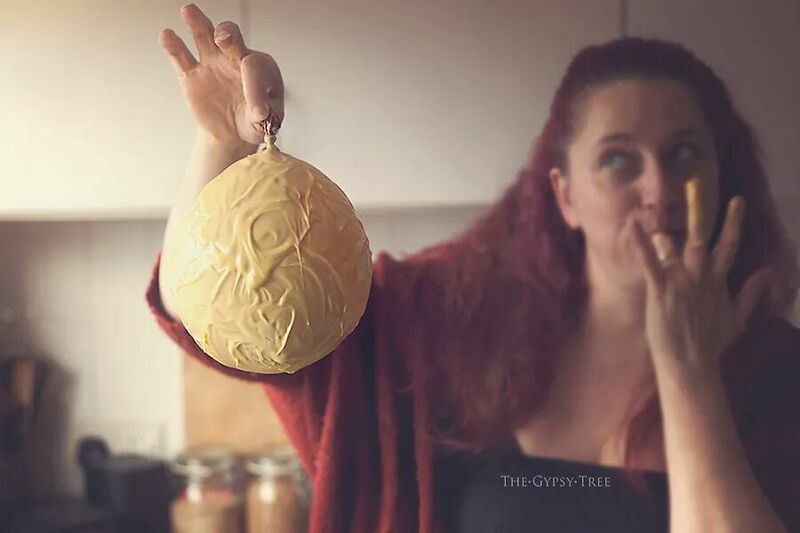 You also rub hands together first to spread out the goop & put it on more evenly. So, after you’ve low poo washed your hair, added curl activator, added gel with praying hands, then plopped and diffused / air dried, it’s time to scrunch out the crunch. Remember in the 80s & 90s when we all had spiral perms and wet look gel? Well as much as we thought we looked the dogs dangley bits, we didn’t. To get rid of that late 80s Minogue look, you need to SOTC. Once your curls have dried to crispy perfection (not a trace of damp left), the gel will have created a “cast”. Now is the time to use your hands, or preferably a tshirt to scrunch each section and break down the gel cast to reveal soft & defined curls. 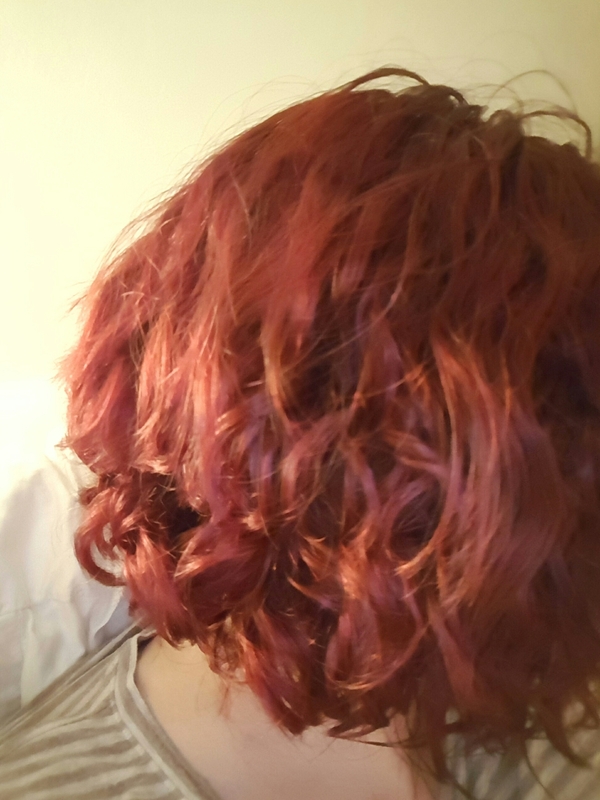 So, 7 months into low poo and 4 months into using the Curly Girl Method what does my natural hair look like? It looks like I have curls! And “bad” hair days aren’t really a thing anymore. This works so well with my general health because I have no more fighting with hairbrushes, only need the energy to wash it once each week, and I don’t have to be physically that functional I’m. The morning. Getting ready consists of: take off my scarf, spray a bit of water/conditioner mix into my hair, scrunch it, bobby clip the front & off I go. 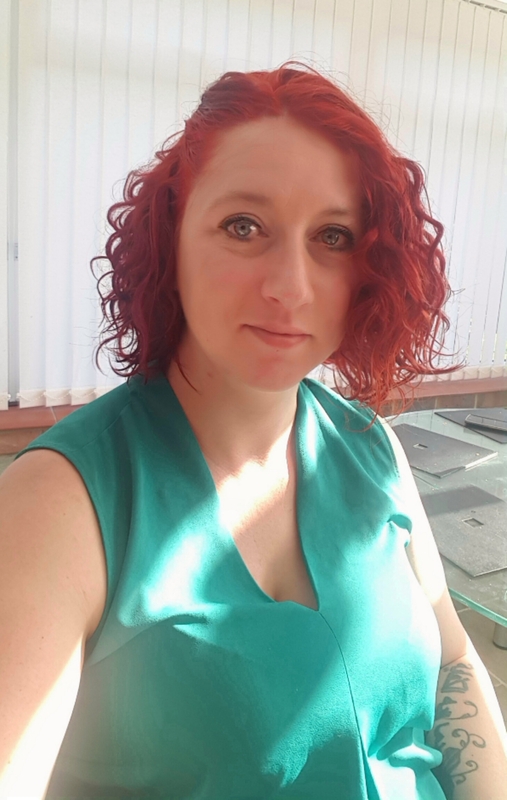 You can read more about the official Curly Girl Method here. (Not an advert, but as it’s not my method, you should hear from the originator!). A few years ago I tried going “No Poo” (shampoo, not poo) in some weird experiment where I gave up shampoo for lent. I used baking soda to wash & vinegar to condition my hair. I smelt like a chip. My 2nd attempt is a bit different. 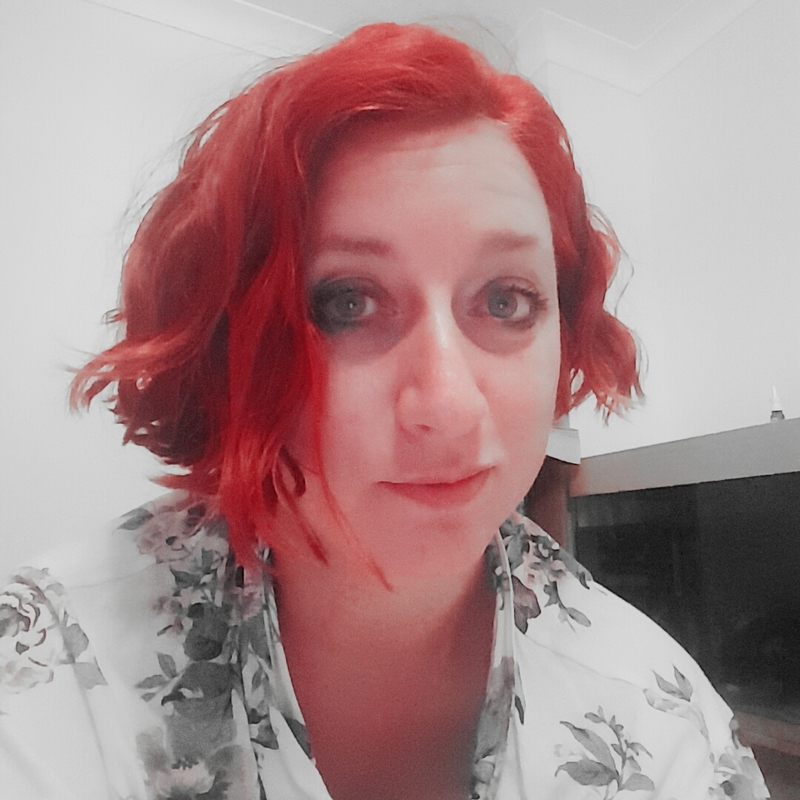 I’m following the curly girl method which is based on a book by Lorraine Massey and I’m actually 4 weeks into my new experiment. It’s based on actually conditioning curly hair over washing it to destruction and getting rid of all silicone & alcohols. Since my hair decided to fall out & grow back, the wave has turned into a curl & fierce frizz, so I decided to tame it and whoa nelly! This is actually working. Ok, I’m sporting the knackered look here, but I’m so good at that recently. However, this was my pre-curlygirl hair using just a spray gel. 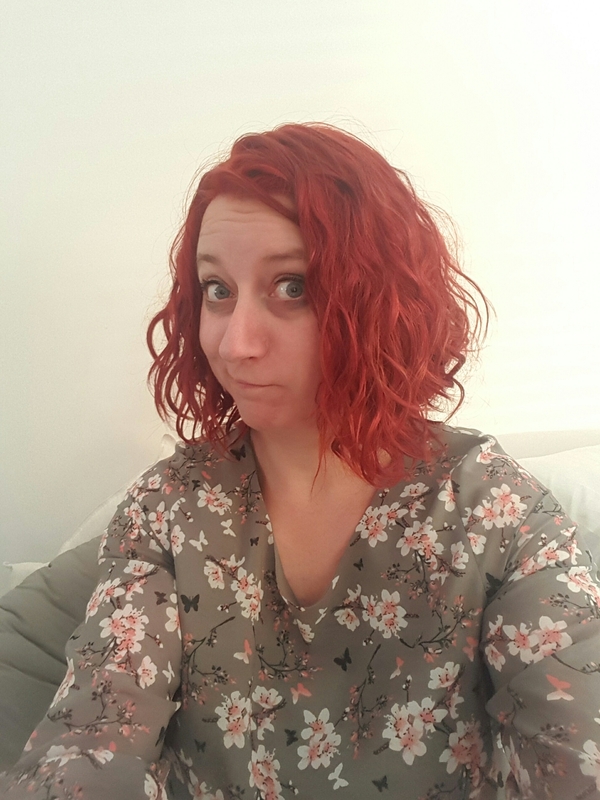 The fear of returning to feeling like a chip is widely over as I have a set routine of detangling & co-washing once or twice a week with Tresemme Botanique conditioner and a 1p size of the shampoo if we’ve been swimming. It’s really hard to find a silicone free shampoo in the UK, but I’ve lucked out with these. After washing, and each morning after dampening with water from a spray bottle, my curls are spritzed up with Tresemme Make Waves spray gel, scrunched and left alone to go crispy. Just before I head off for work, I SOTC (scrunch out the crunch) – essentially, the curls have set now, so squishing the gel makes the curls softer now they’ve set. Note the lack of brushing; with set curls, nothing gets tangled so I only detangle before I wash. The longer I leave it, the more corkscrew my curls get! So, here I am, growing back my locks but this time in delicious spirals that make looking after it a million times easier. When hippy herbal remedies turns into give me ALL the drugs! …and I’m not talking childbirth. I’ve been no poo for three weeks now (no SHAMpoo that is) and coping, having given up shampoo for lent. This had led to considering a number of alternatives for other things… Could I make my own deodorant? Would life rally be that bad without meat? Can I meditate myself sane? (Probably not if we’re honest he). And then today happened. Today was my tipping point towards “show me the science!”. Today was not a day for hippy herbs, today required drugs. Unless it came in a blister packet with take one three times per day, I wasn’t interested. For I fell foul of the one thing that will floor every woman on the planet at one time or another. The He Who Shall Not Be Named of the lady parts. But I’m naming it. And online of all places. In short I got that cystitis twinge mid-morning that meant by early afternoon I was popping out of my classroom to “print things” every 20 minutes to pee blood which felt like it contained glass shards. Of all times to get this, the day I teach every single period right up to 6pm is not it! After weeks of being very into the whole try the herbal remedy thing, I threw everything out of the window. I wanted sachets of powder and antibiotics NOW! And a bath in dettol. I don’t even feel bad about it. I got home (eventually) and started the antibiotics which made me feel sick and groggy, but that’s a small price to pay for restoring my kidneys to their usual functioning selves. At least I didn’t wash my hair?